The Conversion on the Road To Damascus was created in 1601 by Caravaggio. It depicts the conversion of Saul (later St. Paul) on his trip to Damascus to persecute the Christians there. See Acts Chapter 9. It’s an amazing work, capturing the emotion of the event as told, but certainly containing many of Caravaggio’s own impressions. The horse, unsurprised, looks on casually. Meanwhile Paul looks stunned, blinded and as if the world just came out from under him. And it did. All of the action of the picture is on the ground with Paul, with most of the emotion and power of it lying behind his eyelids. For more about the work see its entry on Wikipedia. For more about Caravaggio, there is Wikipedia or this history. This was an interesting writeup on the depictions of this event. 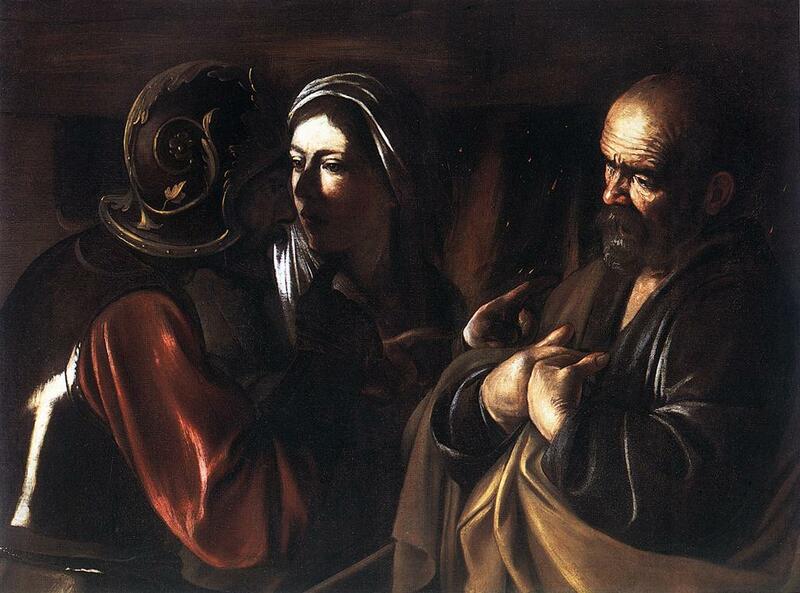 If you like this also check out Caravaggio’s The Denial of St. Peter. Wow.